Supporters of Te Kōhanga Reo National Trust march down The Terrace in Wellington in 2011. The trust was set up to oversee kōhanga reo (Māori-language preschools) around the country. 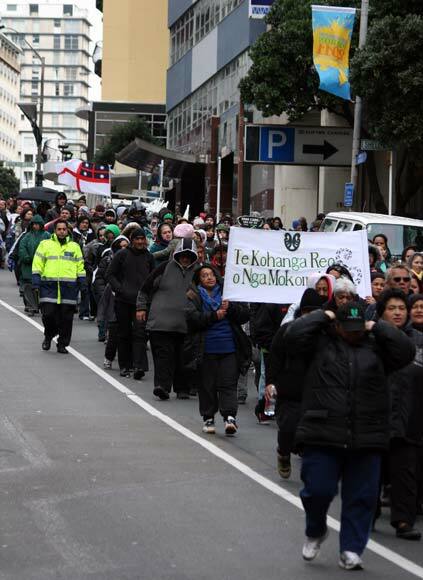 This march was in support of the trust's claim to the Waitangi Tribunal about what it saw as inappropriate interference by the Ministry of Education.